Anna Sui is always a little bit of sparkle, a dash of rock and roll and lots of texture. 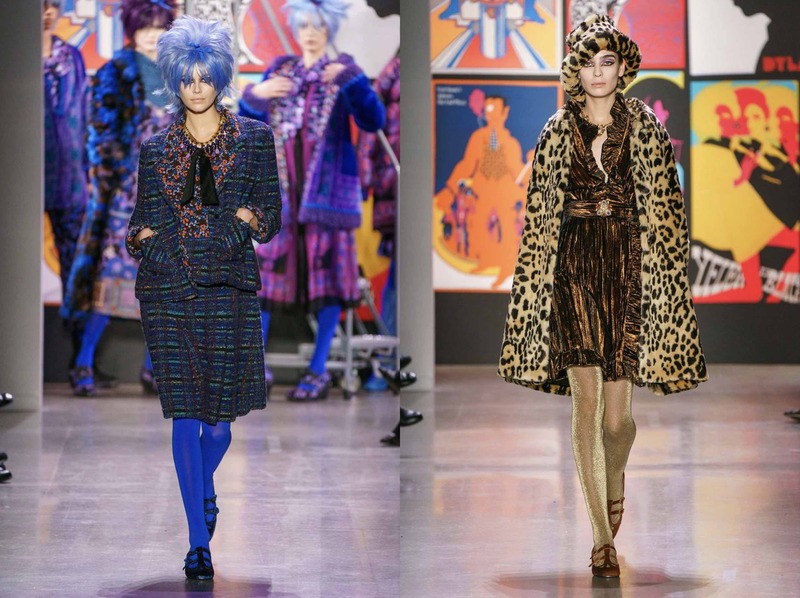 This season was not so different except for that the designer drew inspiration from what seems to be a combination of brightly colored pop-art and traditional Japanese anime with a twist of school girl. Anna Sui’s rich history was celebrated appropriately with rich hues in lush fabrics like jacquard, metallics, tweeds, shimmer, and sequins. There was also plenty of velvet, ruffles and faux fur. Prints and textures were piled on together, which resulted in a bright combination of tone-on-tone layering which can only be successfully executed by a skilled professional. Playing to a packed audience, the collection was highlighted with appearances by Bella Hadid and Kaia Gerber. aSpanned full ensembles that prove that you can be from 9-to-5 without even making a stop before hitting the dance floor. After all, it takes true focus for a designer to understand the drama of fashion’s past and how it relates to today’s attention starved girls of social media. This entry was posted in New York, NYFW, Trend Reports and tagged Anna Sui, AW19, nyfw. Bookmark the permalink.